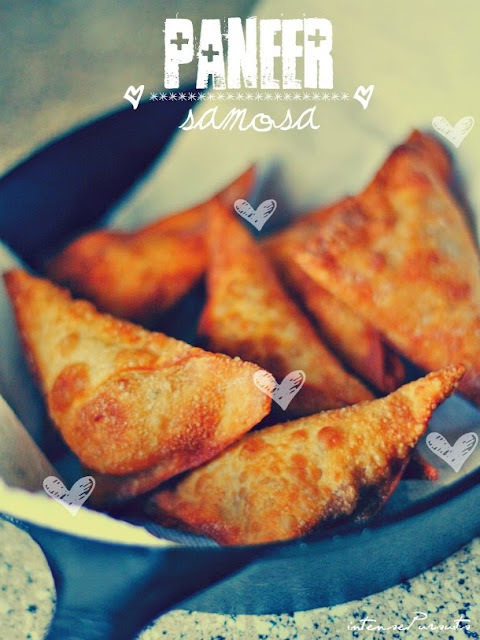 "Pitha", a Bengali word refers to sweet treats made of rice flour as a delicacy during the cold months of winter. 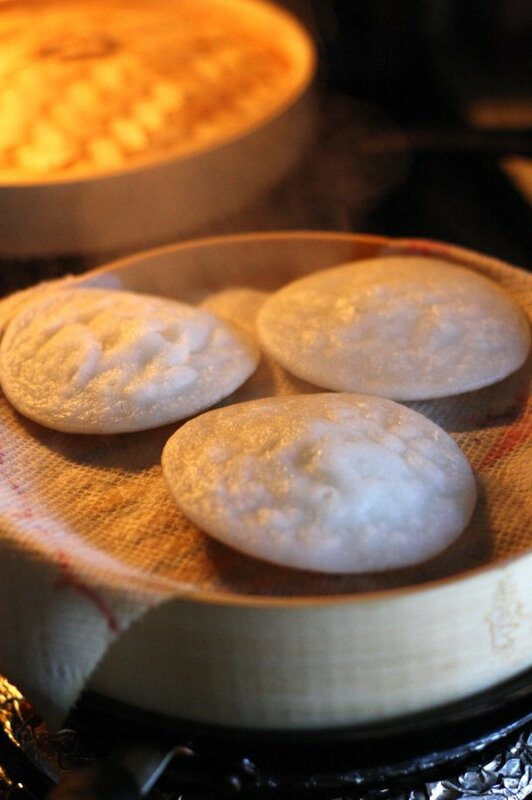 There are various types of "pithas" that serve mainly as breakfast items to make you warm and cozy in the chilly mornings. This "rosher pitha" or "dudh chitoi" is made of "chitoi pitha" = the rice cakes. So covering the rice cakes with simmered sweet milk becomes "dudh chitoi". "Rosher pitha" needs to have the ingredient date juice which is collected from the date palm trees. Here is a photo for reference. Its a natural sweetener that would be used instead of sugar. "Pithas" are always made with natural sweeteners like jaggery and mollasses which in Bengali is called "gur" which comes from date palm trees and sugarcanes. So we are going back to nature. Or atleast trying. 1 packet of frozen 16 rice cakes [chitoi pitha] - from Bangladeshi grocery store. You can find rice cakes in Central Market and other wholesome food stores. Those would work just fine. I will show you how to make those some day! 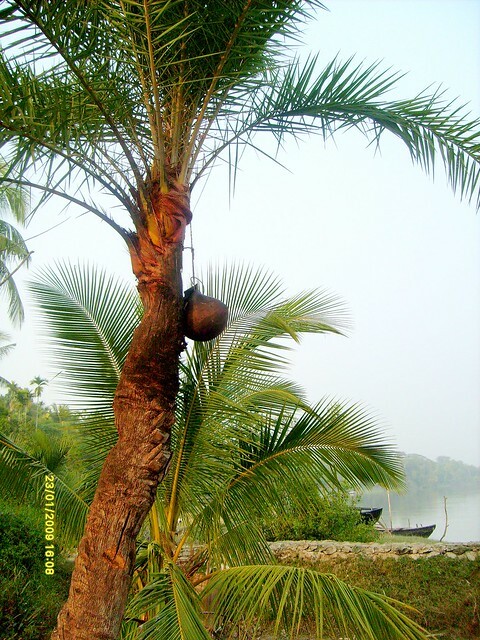 1 cup of mollasses or "gur" - the one that is from date palm trees. You can also find these at ethnic food stores....also in Fiesta. 2 cups of sugar or per your sweet tooth. Remember that the milk needs to be extra sweet since the rice cakes aren't. The first thing you need to do is to get the whole milk boiling. Use a large nonstick pan to avoid sticking at the bottom. You can also use a heavy bottomed pan. The milk needs to simmer and reduce down about an inch from where it's level was. At this time, stir in the mollasses, sugar, coconut milk, half n half and shredded coconut. Mix these in one by one. Taste to see if you need anything. 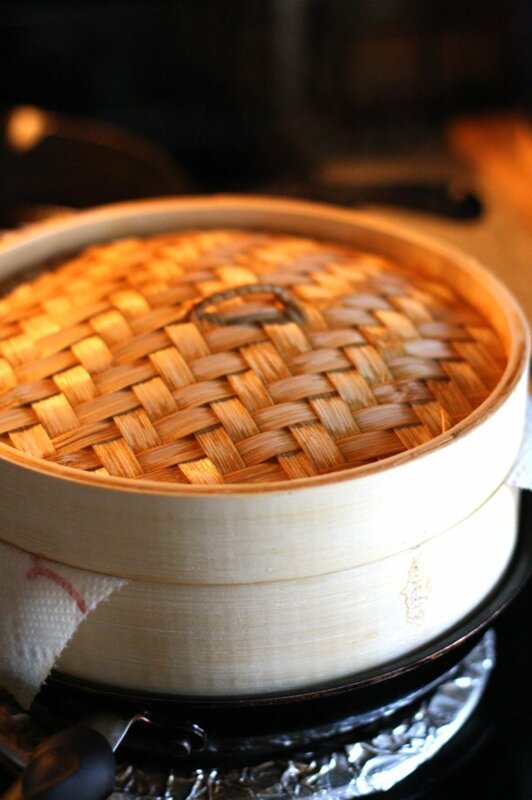 You will need a steamer for the frozen rice cakes. This will make them soft and fluffy so that the milk can soak in. Layer them into a deep dish before you pour the milk in. After you pour and cover the rice cakes with the sweet milk, sprinkle the nuts and the syrup over it. Let it soak for some time before you take a bite. It tastes way better the next day!